Looking for low-cost or free Christmas events in Metro Vancouver? Below you’ll find lots of low-cost, by donation, or free Christmas events & attractions across Metro Vancouver listed by city so you will know what to travel for and what is close to home. We’ve got you covered for Aldergrove, Burnaby, Coquitlam, Fort Langley, Langley, Maple Ridge, New Westminster, North Vancouver, Port Coquitlam, Squamish, Surrey, Vancouver, West Vancouver and White Rock. We wish you and your families a magic Christmas together! Details: Enjoy the parade, refreshments, carol singing and lighting of Aldergrove’s Official Christmas tree. Rain or Shine, free. Details: $2.00 per person, skates and helmet included. All ages. Details: Tree Lighting Ceremony & light refreshments at 6pm. Proceeds from carousel ride tickets purchased between 5-9 pm will be donated to the Burnaby Christmas Bureau. Details: Tree lighting, Santa visit, hot chocolate, hot dogs, entertainment and activities. Free admission for all ages. When & Where: Nov 24-Jan 4, times vary, consult the website for details. Details: Wreaths, cedar swags and vintage-themed displays. Create your own holiday light show – the lights change colour with sound. Free Gate Admission. Optional carousel rides are $2.65. Details: Enjoy interactive art activities, family entertainment, and a labyrinth of light. Free admission, all ages. Details: Come check out hundreds of thousands of lights wrapping their way around the lake in multiple themed zones. Details: Sparky the Firefly leads a parade around the lake. Glow sticks and candy canes will be handed out, while quantities last. Free, all ages. Details: Wear your ugly Christmas sweater and go for a walk around the lake – prizes will be given out. Free, all ages. Details: Create memorable photos using props provided and your own camera. Free, all ages. Details: Carolling around the lake, with a mass sing-a-long of Jingle Bells at 7:30 pm. Free, all ages, rain or shine. Details: Free Admission, all ages. Make your own lanterns, lantern ceremony, live performances, a multi-cultural tea salon, heritage activities at Mackin House and more! Details: Bring your family & imagination down to the Coquitlam Springfree store for an afternoon of FREE Holiday Fun. They will be supplying everything you need to decorate your own Gingerbread House! RSVP online – limited spots available – one gingerbread house per family. Details: Free admission. Hear stories, roast chestnuts over the fire, take a guided tour. Regular admission rates apply. Details: Entertainment and crafts, a parade and Santa, and tree lighting and caroling. Details: Sing-along with carolers in the plaza. Details: Bouncy Castles, slides, obstacle course, holiday themed crafts, games and more. Details: Santa Claus Parade & Christmas in the Park. Santa visit, crafts, decorated trees to see, cookies, popcorn & hot chocolate (bring your own mug). Mail Santa letters here! Details: Poses for selfies with Santa, and listen in as he reads them Holiday themed stories. Mrs. Claus will also be making an appearance where kids get to decorate sugar cookies from El Dorado Pies & Treats with icing and sprinkles. Storytime with Santa: 11:00am – 12:00pm, Cookie Decorating with Mrs. Claus: 12:00pm – 1:00pm *while supplies last, Selfies with Santa: 12:00pm – 3:00pm. Details: Make fun, festive crafts, all for free. Details: Pony rides, Ornament/lantern making, tree lighting, gingerbread decorating, storytime tent, face painting, balloon creations, a visit from Mrs. Claus, Burrard Yacht Club sail by, free warm coffee, tea and hot chocolate and Christmas carols. On stage entertainment includes performances by Magician Joel Eddington, Windsor Senior Chamber Choir and Seymour Dance School. All activities are free but donations are welcome. All proceeds will go to local charities. Details: Kids will love the opportunity to decorate their very own holiday sugar cookie with glitter, sprinkles and icing at El Dorado Pie and Treat’s cookie decorating workshop! Join them for all the festive fun on the Retail level at Lonsdale Quay Market, next to Perform Art Studios. Details: Visit the shores of beautiful Deep Cove this holiday season where the community will be gathering in Panorama Park to watch the Carol Ships sail by. 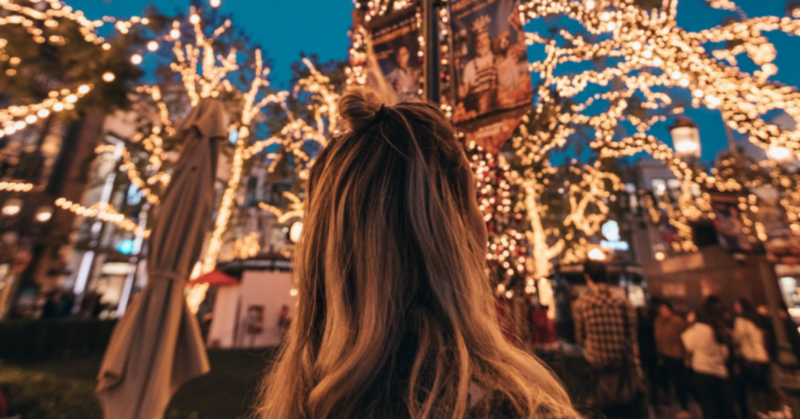 Enjoy a warm and festive evening filled with musical entertainment, roving performers, free craft workshops, a blazing bonfire and beautiful lights. Santa himself may even stop by! In support of the Harvest Project and Family Services, please bring donations of food or unwrapped gifts if you’re able to. Details: Get in the holiday spirit with a bit of dancing! Perform Art Studios will be performing an exciting dance show to a festive medley of music! Details: Watch the Holiday Train roll in and listen to Collage. Please bring a donation for the SHARE food and toy drive. Details: Annual Santa Claus parade can be viewed on Cleveland Avenue from 7:00 pm onward. Details: Free event aimed at ages 6 to 12, but everyone is welcome to enjoy cookie decorating, holiday crafts, games, treats, sports challenges, a photo station and more. Love free Christmas events like this! Details: Free event. Tree lighting, family dance, holiday activities and fun. Bring donations for the food bank. Pre-registration required. Details: Charitable donations will be collected for Surrey Food Bank and the Surrey Christmas Bureau. See website for parade route. Details: Come in your pjs, bring a stuffy, settle in for a Christmas movie. Popcorn and other treats will be offered, admission is free. Family activities will be set up before the show. Details: Play old school games, make vintage decorations, visit Santa and Mrs. Claus, drink hot chocolate, explore Dinosaurs on Earth and the TD Explore Zone, free. When & Where: December 1, 9, 15, 16, 22, 23, 27, 28, 29, 30 12 – 3:00pm, Historic Stewart Farm, 13723 Crescent Rd, Surrey. Details: Enjoy treats, string popcorn, and make crafts. Free. When & Where: December 8, 11:00am – 3:00pm, Historic Stewart Farm, 13723 Crescent Rd, Surrey. Details: Enjoy live music, crafts, treats, visit Santa and take photos with him. Free. Details: Skate with Santa! Rentals available for a small fee. Regular admission rates apply. Details: Cookie decorating, crafts and seasonal games, free. Details: Come in your pjs, bring a stuffy, settle in for a Christmas movie. Concession will be available for popcorn and treats, admission is free. Details: Experience a winter wonderland at Cloverdale Arena and enjoy this fun, seasonal event with your friends and family. Details: Holiday swims with games and prizes. Regular admission rates apply. Details: Who says you can’t have a second Christmas party the day after your first one? If you can’t make Very Vintage Christmas on Saturday, join again on Sunday for Even More Christmas! Get your pro Santa photos, catch the Beauty Shop Dolls and do Christmas crafts. After, visit Dinosaurs Unearthed and do the Selfie Scavenger Hunt. Details: Taste fresh-baked festive treats, string popcorn and experience Christmas the Victorian way. There will be a new craft to make each day of Heritage Christmas. Details: Experience the nostalgic tradition of the Woodward’s Windows, magical holiday light display, the Sails of Light, and the festive Avenue of Christmas Trees. Details: The parade will start at West Georgia and Broughton (at 12:00 pm), travel east along West Georgia, turn south on Howe and finish at Howe and Davie. Family entertainment at Christmas Square prior to the parade. Donations are being collected for the food bank. Details: Lace up for skating family fun from December 1 to the end of February. Free admission, bring your own skates or pay to rent. Details: Watch dozens of choirs carol for a cause. Enjoy sing-offs and Christmas music in the open air & donate to support great causes. Details: This free family-friendly event features live entertainment and music from Side One, free cookies and hot chocolate, local food trucks and fun activities for kids! Come experience holiday magic at its best! Complete your night with a visit with Santa! Come experience this festive Vancouver tradition! When & Where: Dec 21, various times & locations. Details: Come celebrate this free community event with a glowing constellation of lanterns shining in various Vancouver neighbourhoods (including Granville Island, Yaletown, Strathcona & Chinatown). Wherever you wind up, you will feel connected to your community and to the universal spirit of celebration! This festival features fire performances, a procession, Labyrinth of Light, indoor activities and lantern displays. Free family event, with some ticketed venues. Suggested donation of $5/person gratefully accepted. Free Pancake Breakfast with Santa! Details: Everyone is invited to a free pancake breakfast! Santa will stop by for photos and they’ll have crafts for the kids. Details: Enjoy paddle songs and Christmas carols from Festival of Light’s longhouse and the Dundarave Nativity Pavilion. Details: Enjoy another great free multicultural concert. Details: Come to a beach bonfire celebrating Christmas as part of the Dundarave Festival of Lights. Details: Celebrate the holidays with your friendly community by making winter solstice lanterns together, decorating gingerbread cookies, and listening to live festive music while you sip on a delicious hot drink. A professional artist will be facilitating a lantern making craft table. At 4:30 pm everyone is invited to join the walk to the Dundarave Festival of Lights (located right by the Beach House Restaurant). This festival is intergenerational, for friends, families, children to seniors and all across the board. Love free Christmas events like this! Details: The International Yacht Club of BC brings their Annual Light Boat Parade with two passes by the White Rock Pier. When & Where: Dec 8 from 1:30 – 4:00 PM, White Rock Library, 15342 Buena Vista Ave. Details: The Naked Stage: a reader’s theatre group presents The Velveteen Rabbit at 2 pm. Refreshments & door prizes. Details: Skate to a new theme every day this holiday break. Admission rates vary. If you know of any other free or low-cost Christmas events across the Lower Mainland, please leave details in the comments below! And be sure to check out our 2018 Holiday Gift Guide and 2018 Metro Vancouver Holiday Events Guide for lots more festive holiday fun! Pingback: TOP PLANS TO CELEBRATE CHRISTMAS 2018 - 2019 IN VANCOUVER - UVANU INTERNATIONAL | Recruiter Agency, Study in Canada, Vancouver.